Having the right small engine tools, knowledge and parts is important for maintaining and repairing all kinds of invaluable gas powered equipment. 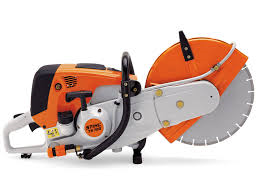 Whether it’s a chainsaw or generator, your business or household depends on your tools working well when you need them. In addition to reliability, a properly serviced piece of equipment performs at peak efficiency, saving man hours, money, and the physical wear and tear of performing the task by hand. NW Industrial Tool, Inc. has the tools, parts and experience to provide routine maintenance, and to troubleshoot and repair your gas powered equipment both small and large. Our technicians regularly undergo specialty training to ensure that they are on top of the latest tools and equipment that are produced in order to service and repair them when needed. We carry many replacement parts in stock and can handle just about any gas powered engine from a simple tune up to a major overhaul. In addition to employing only the best certified technicians, we offer estimates on all tools before work is done to save you time, money and frustration. Put more than 125 years of combined experience repairing tools and equipment in the Vancouver / Portland area to work for you when you need quick and effective services performed on your critical implements. © 2014 NW Industrial Tool, Inc.